Black and White and One more Color. 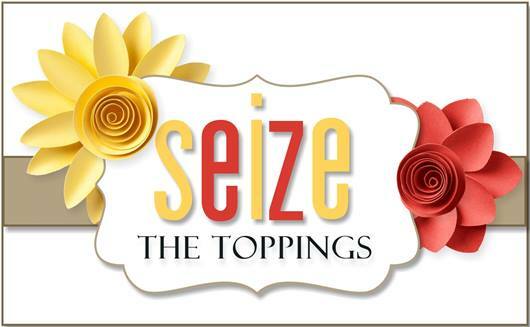 Hello Friends, It’s the middle of March (Yikes) or time for March Madness, according to hubster, and also time for another challenge at Seize the Birthday. Today’s topping is Black and White and ONE more color. I chose to use Kraft as my other color, as I was in need of a Masculine 60th Birthday card for my Brother-in-law. I am really enjoying this new SU set- Lift Me Up, as you might have noticed! The card that inspired me is HERE! The team and I would love for you to join us at STB for this fun challenge and you must come on over and see what the team and our guest Anita selected as their pop of color! Hope to see you there! Gorgeous card! I love the black and kraft combo! Great masculine card design and I love how you added the 60th to the balloon that way. Really makes it perfect for that milestone birthday. And, you can’t go wrong with kraft, black and white in my opinion. I love this, Nancy. The black and white on kraft is so striking. Wonderful masculine card!!! The black, white and craft is a perfect combo and I love how you offset the die cut panel. Love everything about this card! The colour combination is fantastic and the layered clouds are perfect. 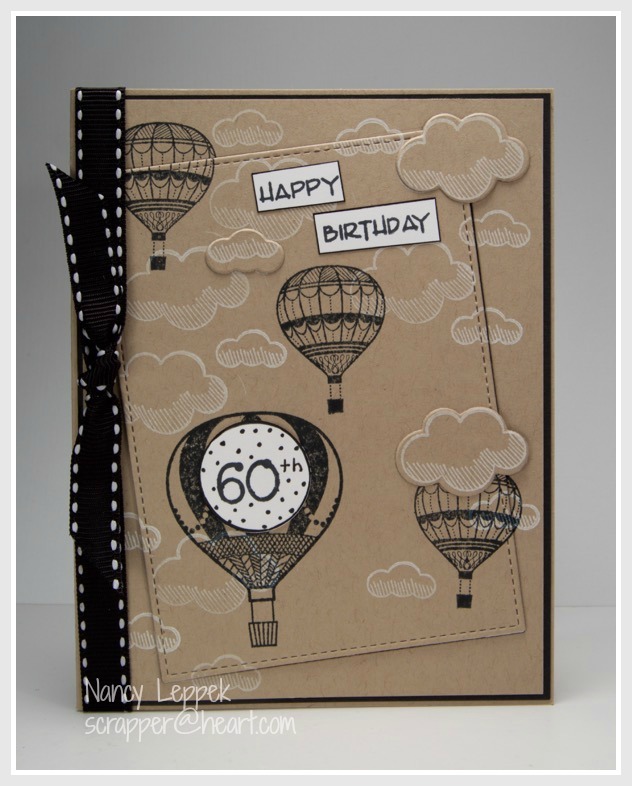 Love your kraft card with the black and white elements, especially all the hot air balloons and the 60 on the main one. Great masculine card. Black and white always make such striking cards. Love the addition of Kraft. So pretty, Nancy. Great idea to make kraft the other color.. I mean, the simple black stamping looks awesome on kraft. And the images make me feel like they were all hand drawn, and sketched. Wonderful card, all in all, Nancy! LOVE your take on that challenge. The usual thing would be to add the “one more color” as a side thought, but you have used the kraft as the main. Really clever. I just ordered that SU bundle and can’t wait to play. Well done, dear friend!!! What a great idea to use kraft as your color, Nancy! I really love this, the white ink on the kraft paper is so vintage looking. An awesome card! Great masculine card, Nancy! But it looks so beautiful that could be sent to an woman! Love the die cut rectangle inside of the scene!